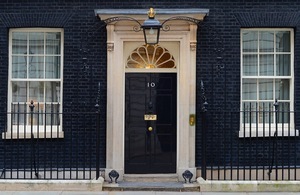 The Prime Minister has today announced measures aimed at making the UK a world leader in dementia care and research, as part of his ‘National Dementia Challenge’. One of the greatest challenges of our time is what I’d call the quiet crisis, one that steals lives and tears at the hearts of families, but that relative to its impact is hardly acknowledged. Dementia is simply a terrible disease. And it is a scandal that we as a country haven’t kept pace with it. The level of diagnosis, understanding and awareness of dementia is shockingly low. It is as though we’ve been in collective denial. Already a quarter of hospital beds are occupied by someone with dementia. Already the total cost of the disease is around £19 billion - that is higher than the costs of cancer, heart disease or stroke. And in less than ten years, as we all live longer lives, the number of sufferers will reach a million. So my argument today is that we’ve got to treat this like the national crisis it is. We need an all-out fight-back against this disease; one that cuts across society. We did it with cancer in the 70s. With HIV in the 80s and 90s. We fought the stigma, stepped up to the challenge and made massive in-roads into fighting these killers. Now we’ve got to do the same with dementia. There are an estimated 670,000 people in England with dementia and numbers are expected to double within thirty years. Just 42 per cent of people with dementia have been diagnosed. This means around 400,000 people do not know they are living with the condition. A YouGov poll, published 15 August 2011, showed that 39 per cent of over 55s most feared getting Alzheimer’s disease, as compared to 25 per cent who most feared getting cancer. The Dementia UK report (2007) estimated that dementia cost society £17bn and this has now risen to £23bn for the UK and £19bn for England.